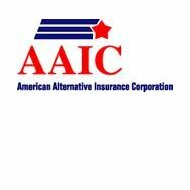 American Alternative Insurance Corporation, AAIC, is an insurance company incorporated in the state of Delaware. However, its main headquarters are located in New Jersey. Currently, the American Alternative Insurance Corporation underwrites insurance policies in all 50 states. It has been in existence since 1995. The company is a subsidiary of Munich Reinsurance America, Inc., which was established in 1917. Munich Reinsurance America, Inc. is a subsidiary of Munich Re also known as Munich Health. Operating under the Munich Re umbrella, American Alternative is able to provide three varying products to its consumers. First, the company offers primary health insurance, risk management and services, and health reinsurance and services. The primary health insurance is available to clients around the world. Risk management and services includes the MedNet offices, which provides managed care services in various countries. Lastly, the health reinsurance and service division provides reinsurance in the international market. Reinsurance is the practice of insurance companies purchasing insurance from another insurance company to transfer the risk from one insurance company to another. Munich Re maintains a strong presence in the United States Medicare market. The company recently purchased Windsor Health Plan, Inc., which provides specialty health care to seniors in Alabama, Arkansas, Mississippi, South Carolina, and Tennessee. Munich Re is also made up of Sterling Life Insurance Company, which services seniors in all 50 states. Between the two companies, there are more than 200,000 members enrolled in the insurance plans. Munich Re operates its primary insurance internationally under the ERGO name under the Munich Health umbrella. ERGO is one of the largest insurance groups with over 40 million customers in 30 countries. Munich Re and its subsidiaries like American Alternative continue to provide successful products due to its vast understanding of the Insurance market. They understand that life expectancy has increased greatly over the years. The company is also in touch with our ever-changing lifestyles, and the medical and technological advances, which greatly affect the insurance industry. As Munich Re continues to meet the health care needs of its clients through subsidiaries like American Alternative, it will continue to reach its clients through insurance companies in over 40 countries and individual consumers in over 100 countries. American Alternative Insurance Corporation Claims can be reported by calling (866) 220-3505. As American Alternative Insurance Corporation strives to save its policyholders money, they have established a Special Investigations Unit to investigate and detect fraudulent claims. Under the Munich Re umbrella, there are approximately 7000 employees within the United States, but 47,000 employees worldwide. Included in that number are health board members who oversee the health division, global markets division, corporate functions, and finance. To locate career opportunities, visit the Munich Re website. Internships are also available to interested college students. Directions to the Princeton Campus can be found on the website. Under the Munich Re umbrella, American Alternative Insurance Corporation maintains an A+ rating with AM Best. American Alternative Insurance Corporation will continue to be successful due to Munich Re’s innovative approach to risk carrying and risk management.